Back in April I think it was I wrote up in my make-up wish list where I mentions that I really wanted to try out a cushion foundation at some point. Since then I seemed to have some luck or just a really nice friend - who got the wrong shade - but I was able to get my hands on a cushion. So after wearing it out in different environments I feel I can give a decent review on the Missha Magic cushion. Okay lets start with the facts. This cushion has SPF50++ which I think is typical for any Korean cushion, but is always great for me who burns so easily. It also has PA+++, which I don't actually know what that means but I'm going to guess it's something good ^_^. As I mentioned in my past wish list I was worried about the colour of the foundation since I couldn't try it out beforehand, but this one is in No.21 and actually fits me quite well - maybe even better than my usual foundation. The packaging also is super cute. The one my friend passed on to me is actually of the Line Friends collection, and this one is Sally the duck I think. Though I probably wouldn't normally pick up something with yellow packaging as I'm more of a blue kind of person I can't argue how adorable it is on this. Simple but affective! The cushion puff on the inside also has cute little duck faces on it. Come on what's not cute about it. 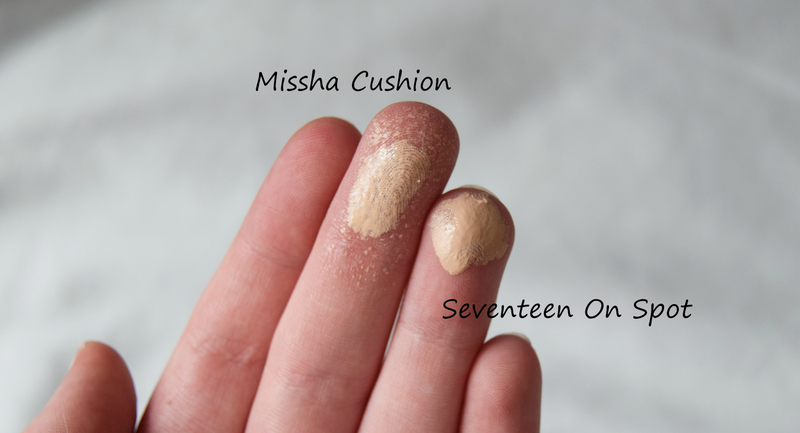 The cushion puff is also now one of my favourite ways of applying foundation. I guess it is similar to the beauty blenders which I have still yet to buy myself. By using a pressing motion the foundation becomes evenly distributed across the surface of my face, though I still do end up kind of wiping it due to hold habits of using a brush. But unlike a brush it doesn't leave streak marks which has won it over for me. The cushion also comes with it's own mirror, which is actually a pretty good mirror maybe better than the compact mirror I have already in my college bag, meaning it's handing to just throw this foundation in your bag for the day if you want to touch up your make-up. I don't know if you can tell from any of the photos but the overall size of this product is also pretty decent. It's not overly large or to small, kind of perfect size to not only use daily but have on the go as well. I think this might be a go to if we go camping again this year. The actually foundation itself it lighter than my Seventeen On Spot foundation in Porcelain, and is much less red toned than it as well, which actually seems to fit me a lot better at the moment since I'm still my pale winter self. 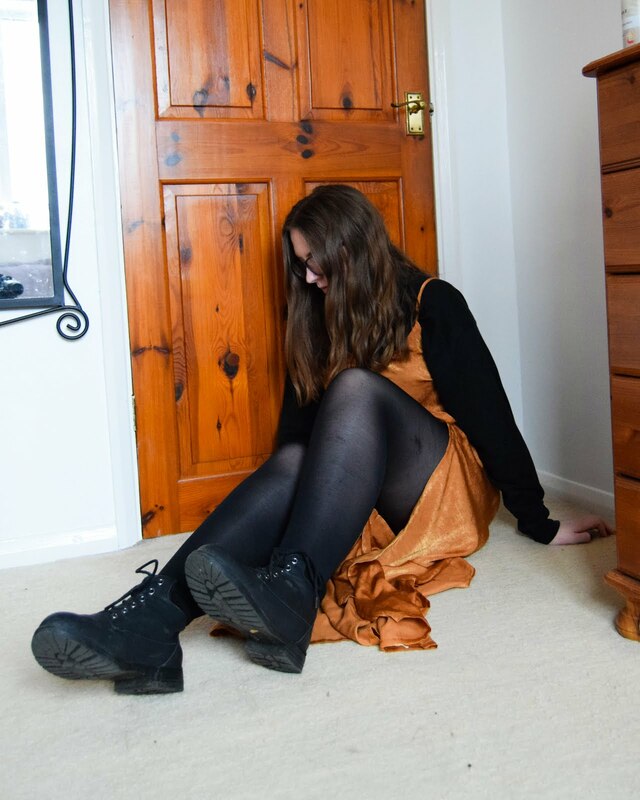 Maybe once it's gotten more sunny (trying not to jinks English weather) I'll find it doesn't fit as well but for my skin colour as of this moment it fits. Though the coverage isn't as high as my western brand foundation, on good skin days it gives enough coverage to even out my skin colouration. The coverage, also, though doesn't completely hid my dark under eye-bags, it does seem to brighten them some what, about enough that I can still go outside with out feeling like I look like a walking zombie. However I do have to say one thing that I don't get along with this foundation is due to the dewiness of the foundation. I do know that Korean make-up does tend to go for the more dewy look, but for someone who already has quite oily skin by the end of the day I look so so shiny. More than a complaint I would just say this is a warning to those with oily skin wanting to try cushion foundation. Though I am trying to find a way around this, as powder kind of works though can make it look a bit too cakey, maybe if I got a mattifing primer it wouldn't be so bad. Anyway if you do like the dewy look - maybe a more summery look - then I would say a cushion foundation will do the job well. Overall I think I shall rate this product 4 out of 5 due to that though I had some struggles with it, I was kind of predicting them before I started using this foundation - why do I have to have such an annoying skin type - and if you take away that the only problem I had was the coverage, everything else was as the box said it would do, well of what I could work out, most of it was written in Korean. Have any of you guys tried foundation or bb cushions out? I've seen some starting to come out on the western market as well, maybe I'll get to try them at some point.